SIOUX FALLS, S.D. 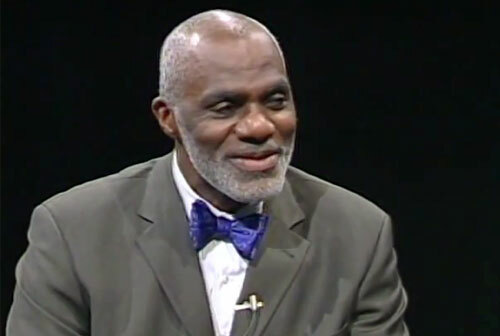 – Alan Page, former Vikings star currently Minnesota Supreme Court Justice, has been named the keynote speaker for the 34th Annual Law Enforcement Appreciation Dinner and Children’s Charity Fundraiser to be held on November 4th at 6:00 p.m. at the Ramkota Exhibit Hall in Sioux Falls, Idaho. Source: KDLT. According to the KDLT article, the event is a way for local business and community leaders to come together and honor law enforcement officers throughout South Dakota. The event has also raised millions of dollars for children’s charities in the name of law enforcement. Each year, one law enforcement officer receives the William J. Janklow Law Enforcement Officer of the Year Award. Nearly 2,000 people attend the dinner every year, making it the largest of its kind in the United States. Limited tickets remain for $50 each. Anyone interested should call (605) 941-0054. Alan Page is an associate justice of the Minnesota Supreme Court and a member of both the College Football Hall of Fame and the Pro Football Hall of Fame. During Page’s 15-year NFL tenure as a defensive tackle, Page played in 218 consecutive games during which he recovered 22 fumbles, made 148½ sacks, and scored three touchdowns. He also had three safeties, the second most in NFL history. He set a career high with 18 sacks in 1976 and is credited with five other seasons of 10 sacks or more. He graduated from Central Catholic High School in 1963 and received a B.A. in political science from Notre Dame in 1967 and a J.D. from the University of Minnesota Law School in 1978. Sports Speakers 360 is a booking agent for pro athletes. If you would like to book Alan Page for a speaking engagement, appearance or endorsement, contact Alan Page’s booking agent for fees at 1.855.303.5450.